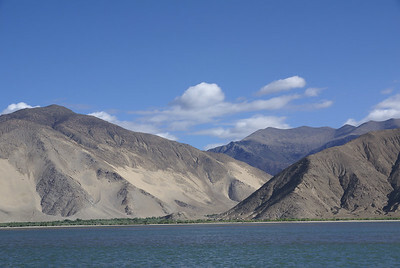 Yarlung Tsampo River near Samye ferry crossing. 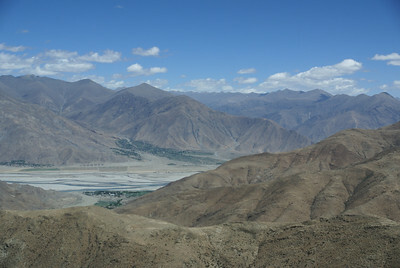 Yarlung Valley. The valley is narrow, leaving little land for cultivation. Prayer flags overlooking Yarlung River. 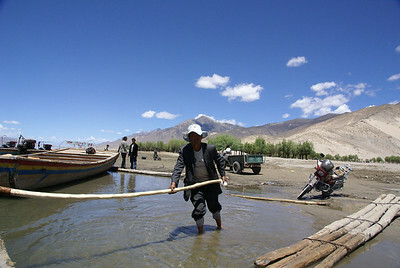 Ferry boats at Samye Crossing, highway(south) side of Yarlung. 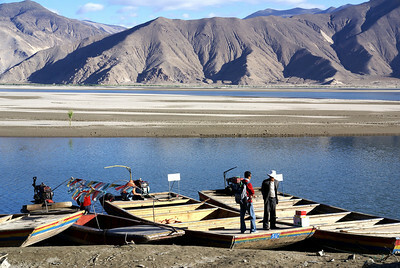 Note prayer flags on one of the boats. 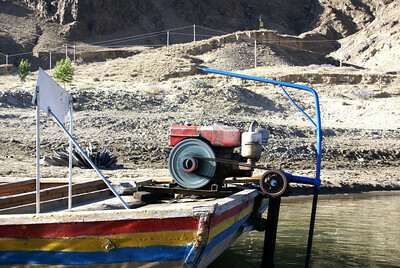 Two cycle engine with fan belt driving propeller mechanism on ferry. Ferry crossing the Yarlung Tsampo river. 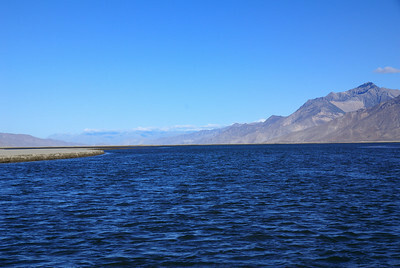 Approaching Samye landing on monastery (north) side of Yarlung. Gangplank being deployed to load passengers and goods on ferry at Samye landing. 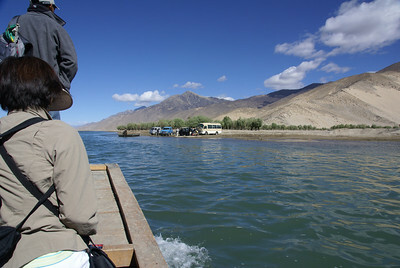 Pushing the loaded ferry away from the Samye landing. 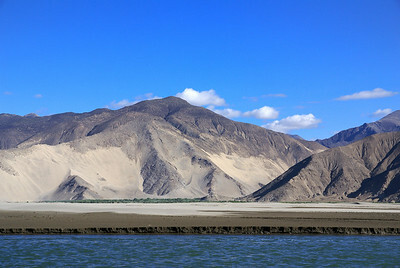 Sand piles on mountains along Yarlung river, near Samye. 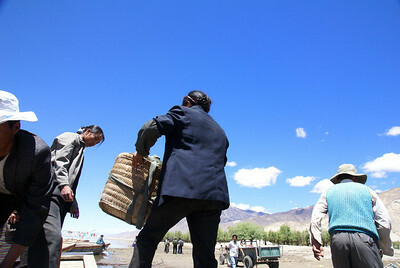 Tibetans loading goods on ferry. 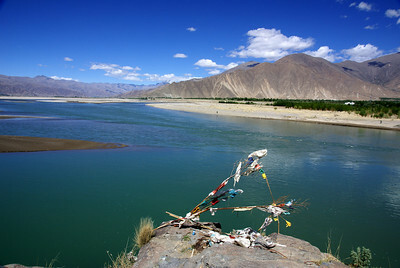 Yarlung Tsampo River near Samye landing. 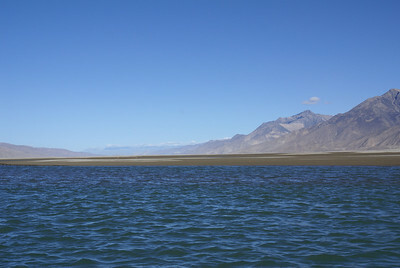 Note large sandbar. Small Tibetan boy inspecting goods on ferry. 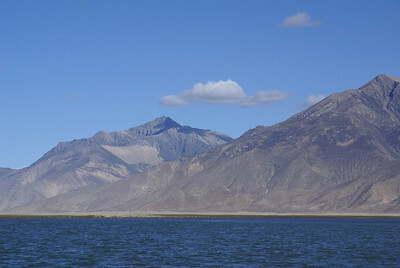 Sand piles on the mountain near the river. 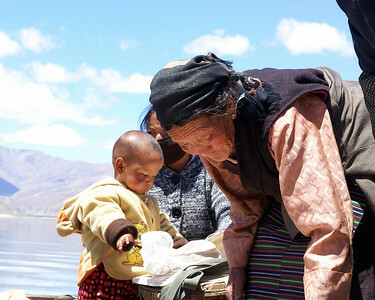 Tibetan boy, mother and grandmother on the ferry on the Yarlung. 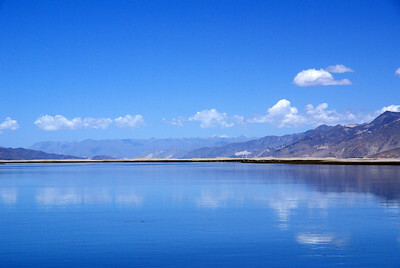 Yarlung Tsampo River near Samye crossing. 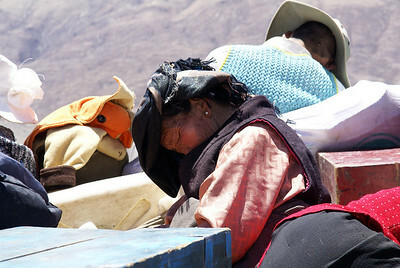 Tibetans loading people, goods on ferry. Mountains, small village on north shore of Yarlung. Tibetan mother with small boy on ferry. 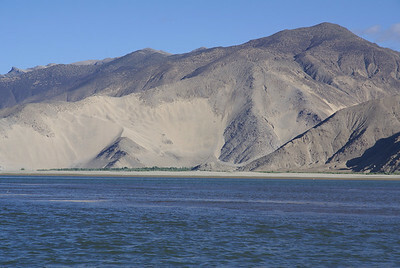 Mountains with sand piles along Yarlung. 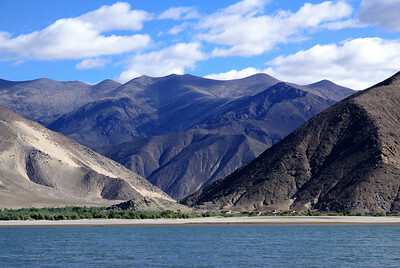 Yarlung Tsampo river and mountains. 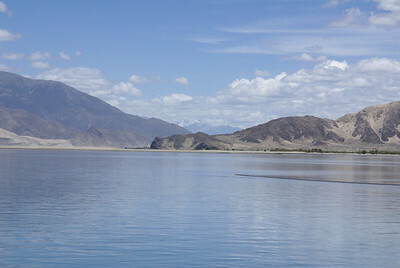 Yarlung Tsampo river with snow-capped mountains in background.